Yes, okay, I may have spent the majority of this weekend re-watching back-to-back episodes of BBC’s Sherlock. It’s not that I am being completely useless and lazy; just that I’m in that weird funk between sort-of-but-not-quite finishing one project (still waiting for sign-off on that final draft of my novel), and attempting to begin something new. I have an idea. I’ve started researching. I’ve gathered plenty of material and images and notes – but I also know that I’m standing at the bottom of the mountain, again, and I’m not quite ready to begin attempting the hike. 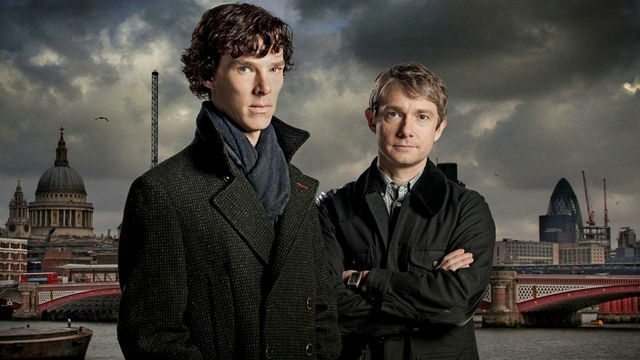 Also, for me, Sherlock is one of those rare TV series where – like a really great novel – the world created is so vivid and absorbing that sinking into any other world afterwards feels impossible. And besides, it’s Melbourne winter, the weather is gross and cold, and indulging in my penchant for brilliant writing and skinny geniuses is much more inviting that huddling in front of my laptop and waiting for the creative gods to bless my with coherent sentences. I did however manage to not fall into a complete Sherlock blackout, alternating episodes with some of my (other) favourite things: YouTube videos and random internet browsing. Chris Colfer’s speech at the 2012 Book Expo America (BEA) conference. Mostly because the phrase ‘John Green is the Justin Bieber of the literary world’ is used. Delightfully geeky wedding invites via Mental Floss. I’m generally not super-interested in fancy weddings, but these nerd couples look like they’d have a lot of fun together (and I will be borrowing The Hitchhikers Guide to the Galaxy idea for something). Old vlogbrothersvideos, especially this one. With my editor’s hat on, I’m always a little smitten with successful authors who can talk with such graciousness about the editorial process. And yes, I freely admit that there is a little John Green fan-ish pattern emerging here. Episode 1 of Written by a Kid – because Geek and Sundry is all kinds of awesome, and because I did a double-take when ‘S.Q.U.A.T.’ team leader Gerald made an appearance.